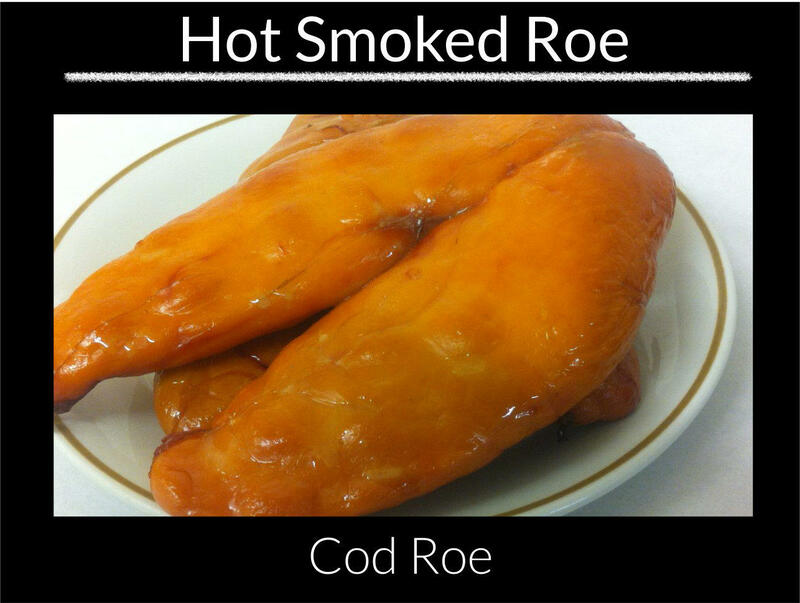 Seasonal product;- We take the fresh Roe and soak it in concentrated salt water for several hours to draw out the moisture and condition the roe. This has the effect of removing some of the bitterness from the product. We chill it for 12 hours before placing it in the kiln and smoking it at 90 degrees for about 3 hours after which time it goes golden brown. 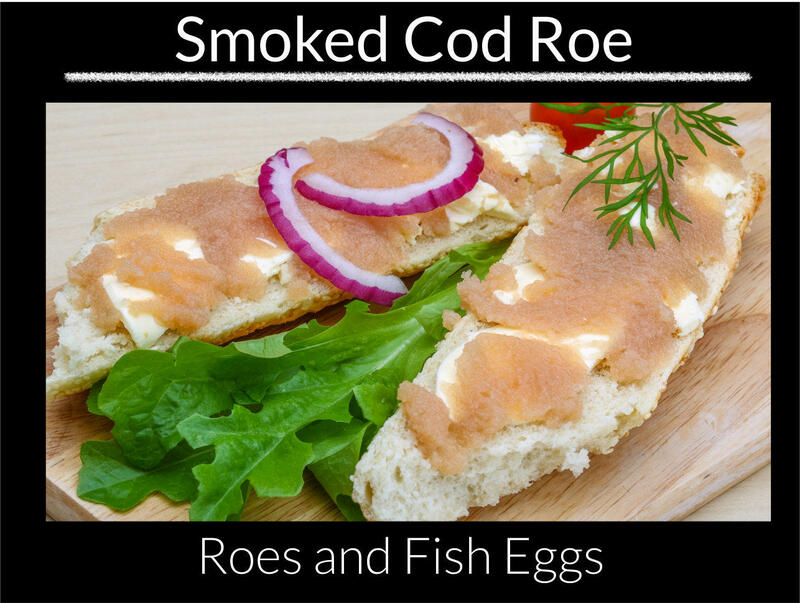 Our Cod Roe is a strong tasting product that is popular in its own right spread on bread or toast, used in salads or used for making taramasalata.